Alopecia areata is an autoimmune condition where the immune system mistakenly fights the hair follicles from which hairs grow. The consequences of this disease include hair loss on the head and in some cases, in other places on the body such as the pubic region, eyebrows, eyelashes etc. Generally, the hair falls in a few smaller round patches. 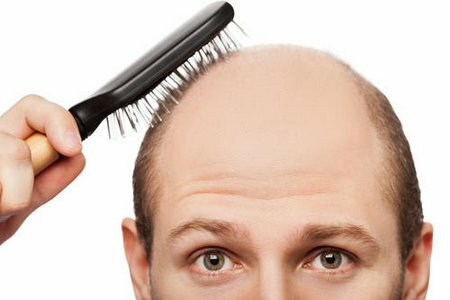 Although in some people hair loss can be larger, the condition usually does not surpass beyond these bare patches. It is possible for the disease to lead a total loss of hair on the head (alopecia totalis) or complete loss of hair on the face, head and body (alopecia universalis). The exact reason for why air hair follicles go through these changes is also unsure by experts, it is questionable that it may be a combination of genes that can predispose certain people to this particular disease. Certain triggers such as viruses, environmental factors or emotion are the resources for those who are predisposed to Alopecia areata. Any of these factors can be supposed for an attack against the hair follicles. One cause for developing the disease is the hereditary problem. Family members who have lost their first patch of their hair before 30 years of age are the sources for the disease and other of their family members are also in a greater risk of developing Alopecia areata. Scientists claim that one in five people who suffer Alopecia areata have a family member who also has the same problem. Alopecia areata is imagined to affect approximately 4 million in the US and usually begins in early days of childhood. The victims include people of all ages and both sexes, regardless of their ethnic backgrounds. Alopecia areata is not life threatening and the victims are generally otherwise healthy. Devoid of physical pain, the disease can and does for many people radically affect their appearance causing them social and emotional disturbance. However Alopecia universalis (where a person loses their eyelashes, eyebrows, nasal and ear hair etc) can let the sufferer to be more vulnerable to germs, dust in the nose eyes and ears so they have to be very careful. Alopecia areata sufferers generally do not have other autoimmune diseases, it can often be there in people whose family members experience other autoimmune conditions such as rheumatoid arthritis, diabetes, systemic lupus, thyroid disease, pericious aneamis, erthematosus ad Addison’s disease. However, sometimes there is a presence of thyroid disease nasal allergies, asthma, atopic eczema and asthma.